When you need speed, you need the Interceptor. With an incredibly potent combination of agility and precision, the Interceptor is the razor-sharp edge to round out any Freelancer squad. This Javelin is easily the most nimble, with a dynamic battle-style that keeps the pilot constantly on the move. Today, we’ll be taking a look at exactly how the Interceptor does it, and how you can accomplish some deadly acrobatics of your own. The Interceptor was developed by Corvus, the shadow-police of Fort Tarsis, to range out ahead of other Javelins and complete scout missions where speed and precision were paramount. It can do much more than scout ahead though. This Javelin class is the ninja variant, with the poise and talent to dance rings around opponents before bringing them toppling down with an expertly-placed strike. Where the Colossus might be considered the hammer in the Javelin arsenal, the Interceptor is a scalpel. It’s able to dart through enemy fire before quickly eliminating key targets and slipping away before the enemy can retaliate. It is, however, the Javelin with the lightest armor. This means you’ll have to pilot the Interceptor carefully, and embrace its adrenaline-fueled style to ensure that your enemies are hitting the ground first. For those who have a need for speed, this exosuit is the one for you. Let’s get going with some of the weaponry and ability options for the Interceptor. With this Javelin, you’ll be able to equip all except Heavy weapons (which are Colossus exclusive). While pistols and smaller armaments are traditional choices for the Interceptor, there’s nothing to say you can’t take your favorite Sniper Rifle, Shotgun, or Light Machine Gun into battle. The Interceptor presents its mobile prowess in a number of ways. Not only is it the fastest in flight, as well as most nimble on the ground, but it also has access to a triple jump and dash. It gets pretty hard to hit you with that many tricks up your sleeve, but it’s got even more to give. Building the Interceptor requires just as much precision as playing it. That means you’re going to have to carefully combine your abilities in order to ensure that you’re making the most of the Interceptor’s output. And output it can. 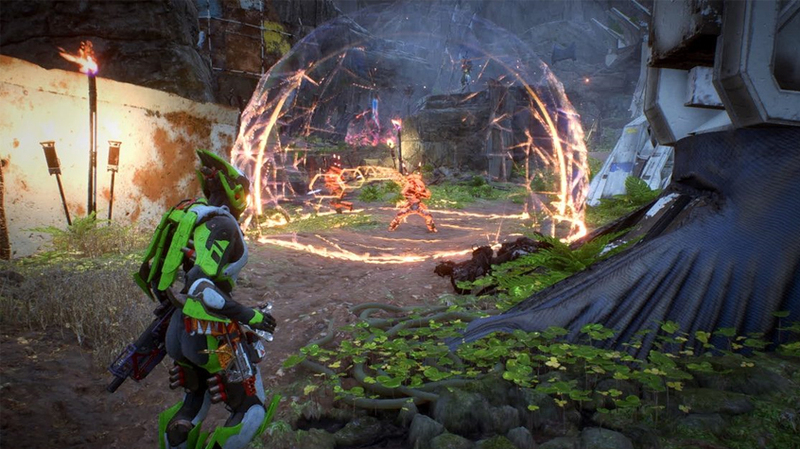 Much like the Storm, a certain amount of finesse is required to play this Javelin-type, but the rewards for a dedicated player are substantial. The Interceptor also has a unique elemental-delivery system; each time you kill an enemy under the effects of an elemental attack with your flashy knives, you’ll gain that element as an aura. This is particularly potent in conjunction with your ultimate, and means that you can execute some utterly nasty elemental combos. The Interceptor’s primary damage ability is the Assault System, and like the other Javelin equipment options, there are five to choose from. Searching Glaive throws a homing ninja-star that deals massive damage to a single target. Venom Bomb is a rare source of acid damage that tears through enemy armor, and is one of the Interceptor’s rare ranged AOE abilities. Cryo Glaive locks onto up to two targets, before launching two shuriken that will damage foes and can freeze enemies solid. Cluster Mine launches a group of explosive mines onto a selected area, and finally Spark Dash well, dashes, and leaves behind a damaging electrical shockwave. Most of these abilities have an elemental component, and that can be used to trigger the Interceptor’s elemental aura by killing an affected target with your daggers. They can also be extremely useful for combo-ing with allied Javelins’ abilities. A particular favorite is freezing an enemy with Cryo Glaive before shattering them with an explosive. Ice cold. 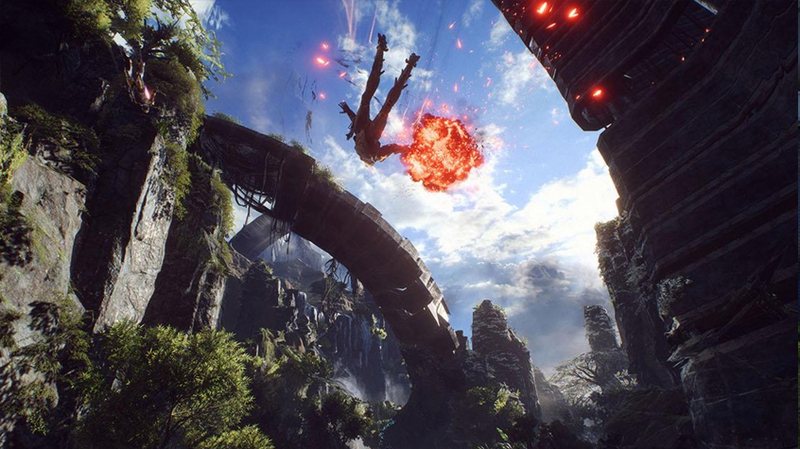 Strike Systems are your secondary source of damage, and are some of the most unique abilities in Anthem. Again, there are five, and you’ll have to decide whether you want to deal damage up close or at range. Firstly, the Detonating Strike is a combo detonator, a melee attack which charges an enemy with electrical energy. If that enemy dies to the hit they will explode, dealing further damage around them. You could also use Plasma Star, which tosses a plasma-empowered shuriken, effective at extremely long range. For those more interested in getting up close and personal, Tempest Strike is a melee AOE ability that deals massive damage to nearby enemies. Wraith Strike sends out a projection of the Interceptor which will attack enemies, and is great for creating a distraction. Meanwhile, Venom Spray bursts out a large cloud of acid damage that will harm and corrode enemies. These abilities tend to magnify the Interceptor’s role. Do you need to eliminate enemy snipers from range? Take the shuriken and let fly. 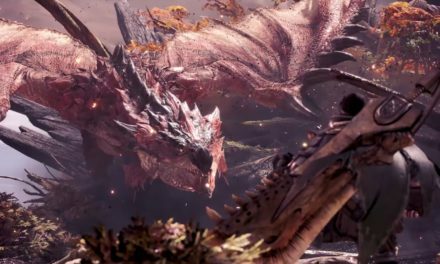 Large packs of armored enemies giving you trouble? Burn their armor away with Venom Spray. Are you combo-ing large packs with allied elemental damage? Detonating Strike will make short work of closely packed enemies. There is an enormous amount of possibilities here. And much like the other Javelins, you’ll need to carefully select the right tool to emphasize your role and strengths. In the demo, I was running mostly shuriken abilities, as they were great for sniping targets at range, and meant that I didn’t have to put myself in harm’s way when fighting solo. Finding a playstyle that really suits you is also going to be paramount, not least because it just feels really great to be a cyber-ninja. The Interceptor has access to two Support Systems, and they’re both going to enable different styles of play. Firstly, the Rally Cry frees you and your team mates from any status effects, including being frozen solid or burning. This will be a great skill against enemies with elemental damage, and is absolutely critical when running short-range builds. The ability to avoid death for your whole team is not one to be sniffed at. Meanwhile, on the other end of the spectrum, comes the Target Beacon. This ability throws a glowing mark that identifies an enemy. This mark increases damage by a significant amount (my mark in the demo was +33%), which is incredible against big targets and even bosses. Against smaller targets, when the enemy is killed, the mark will jump and reacquire the nearest enemy target. This creates a very precision-focused style that rewards the clinical destruction of enemies, as the Interceptor weaves through them one-by-one. For those running AOE and melee-range builds, Rally Cry is essential to keep you on the move and safe from deadly status effects. For those fighting at range, the Target Beacon is a huge damage buff that your whole team can benefit from. Two surprisingly helpful abilities for teams, but ones that also act as catalysts for any Interceptor player. Finally, the Interceptor’s Ultimate ability sees them draw a pair of energy-charged blades. 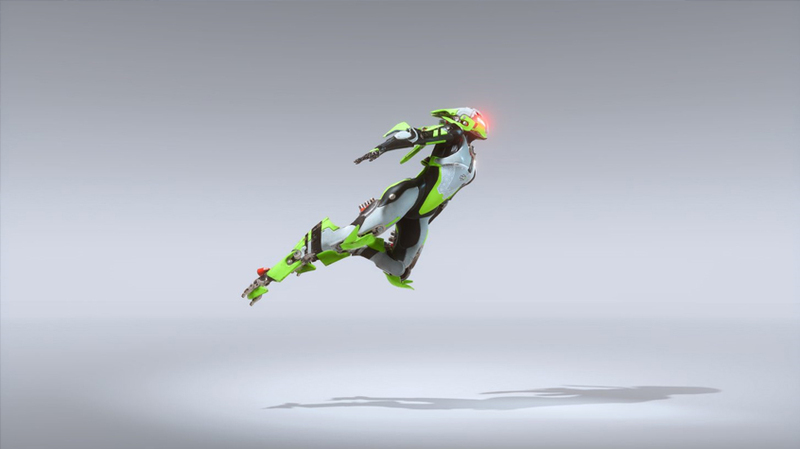 The Interceptor becomes invulnerable to damage and status effects, and can attack rapidly with the blades. 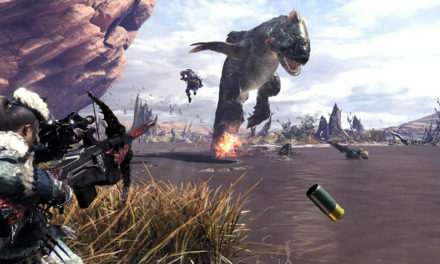 These attacks do significant damage, but also mark enemies to be continuously hit by echoes of the attack for 10 seconds. 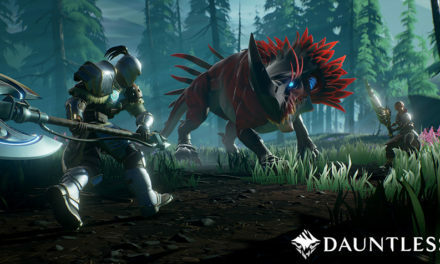 This means you can simply attack smaller enemies once, and if they are not killed immediately, they will be by the subsequent waves of shadow-strikes. Against larger enemies, this damage can be stacked to create a storm of blades that will quickly deal with even enemy elites. The Interceptor’s Ultimate, just like the other Javelins’, really embraces its core power fantasy. The Storm might be harnessing the raw elements, and the Colossus their brute strength, but the Interceptor becomes a raging tempest of steel that flows through packs of enemies as if they were wheat to be mowed down. 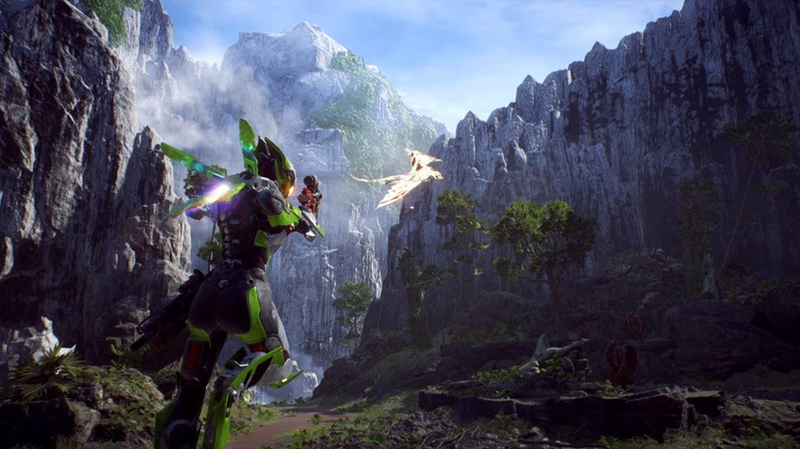 This is the ultimate melee predator of Anthem’s world, so enjoy it while it lasts. With the right choice of tools for the job, the Interceptor can be played in a range of ways depending on your needs and preference. It might be the lightest and most fragile of the Javelin types, but it embraces the ‘glass-cannon’ style of the Storm in a whole new way. If you’re looking for a class that rewards creative, deadly thinking and speed like no other, suit up in the Interceptor. 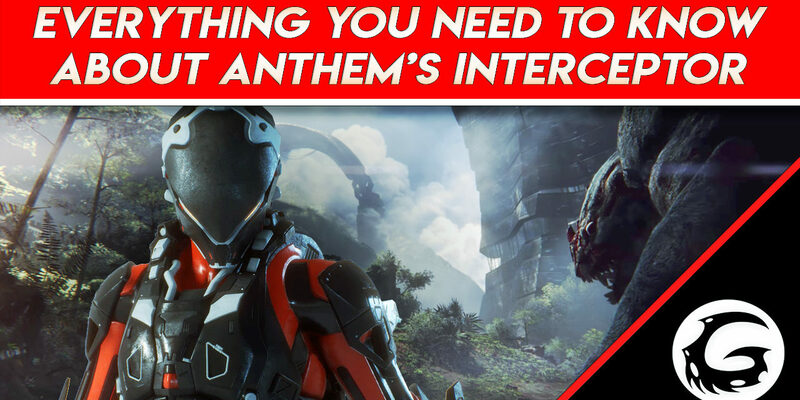 That’s it for our Interceptor Javelin introduction and overview, guys, but keep posted closer to launch for more in-depth guides, builds, and gear choices. This also marks the end of our introductory videos for all the Javelins, so you can look forward to more specific guides coming right up. 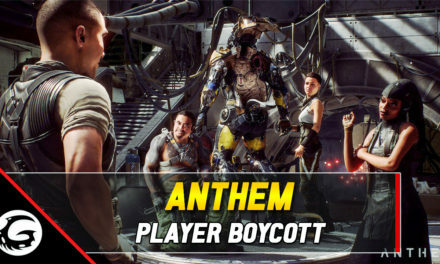 Like the video if you enjoyed it and Subscribe for more Anthem content every week. Thanks for stopping by, everyone, and I’ll see you next time for more gaming guides and news.